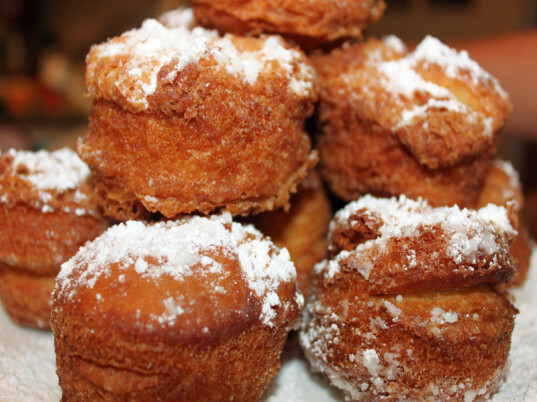 Have you heard about the Cronut Craze? 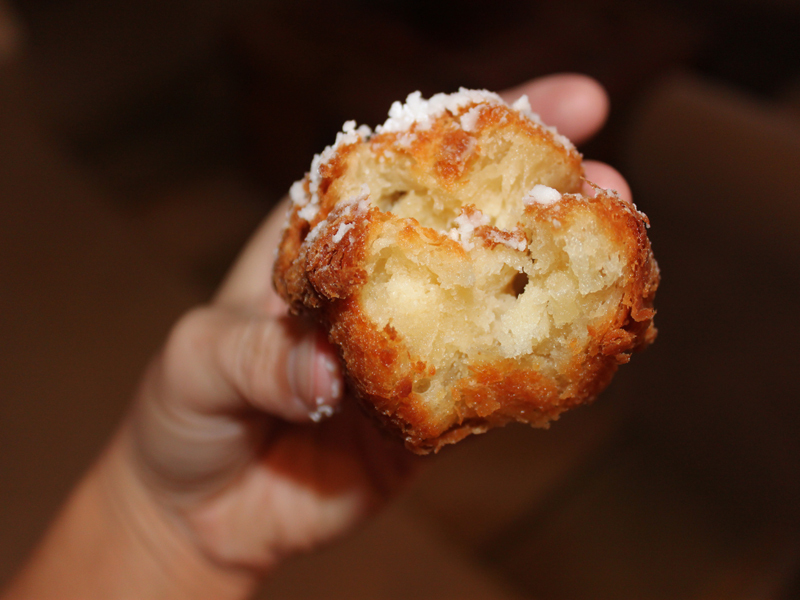 A Cronut is a cross between a croissant and a doughnut. Yum! What could be better than pairing these two delectable pastries? These delicious concoctions are definitely a treat that you will want to make with your kids! While these delicious desserts are the perfect combination of a sweet fried doughnut and a flaky croissant, they are a little time intensive. You will want to make sure you have a day when you will be close to home to whip up a batch of these goodies. These would be perfect for your upcoming fall holiday parties and you can make them vegan too! Read on to get started! 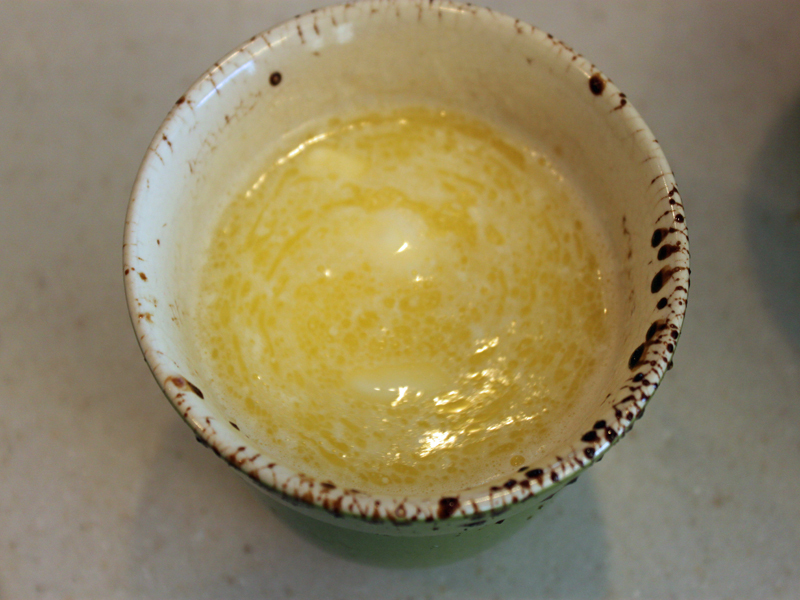 Add the dairy-free milk to a medium saucepan or microwave safe bowl, over medium-low heat until scalded. Stir in the 2 tablespoons of Earth Balance, then set it aside. 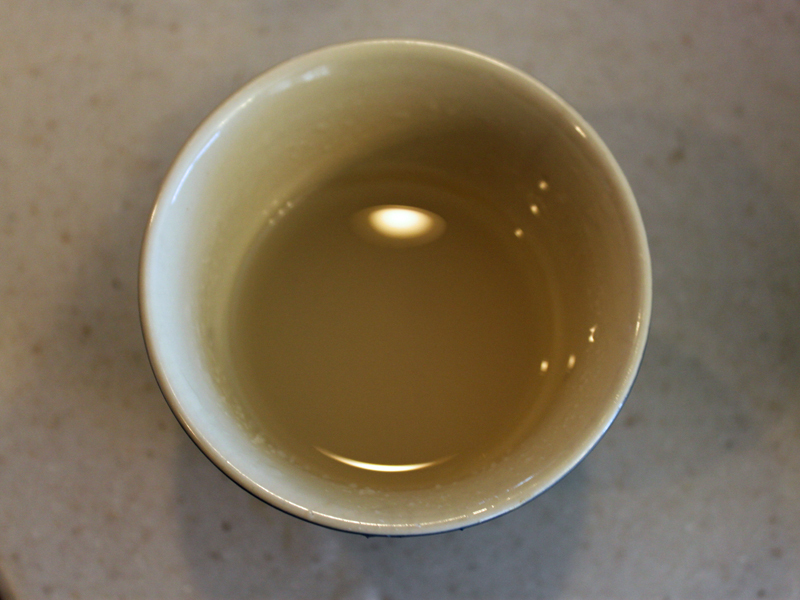 Dissolve the yeast in warm water (not over 110°) and let it sit for 10 minutes or until yeast is bubbly. Add the sugar and salt to the 3 tablespoons of water and whisk well, then add it to the yeast mixture. Add the flour to the yeast/salt-sugar mixture and mix well. Lastly, stir in the milk and Earth Balance mixture and mix until a large ball forms. (We used a stand mixer with a bread hook). 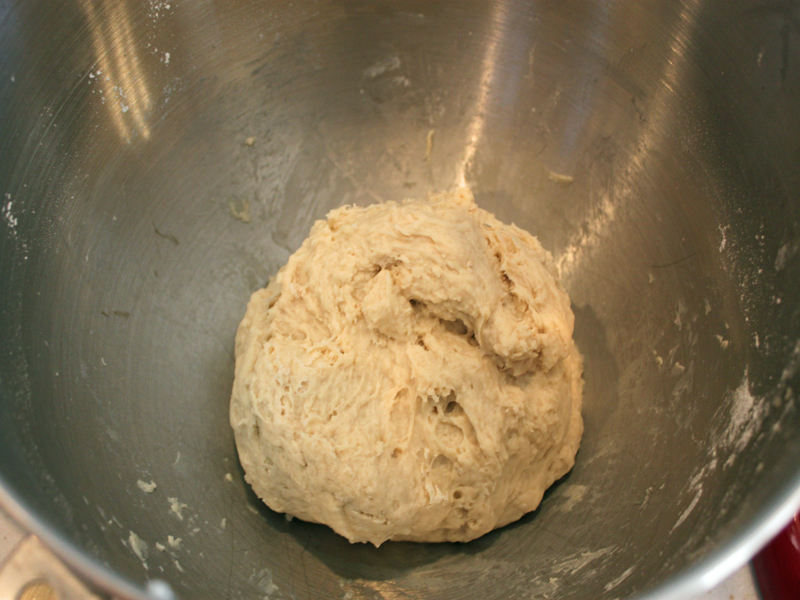 Cover the dough and let it rise in a warm place for a couple of hours or until the dough doubles in size. Tip: If you want to speed the process up – you can sit the dough on top of the oven with the oven on warm until it has doubled in size. While the dough is rising, place the 1 cup of Earth Balance between two sheets of freezer paper and roll into a large rectangle, then place in the refrigerator. 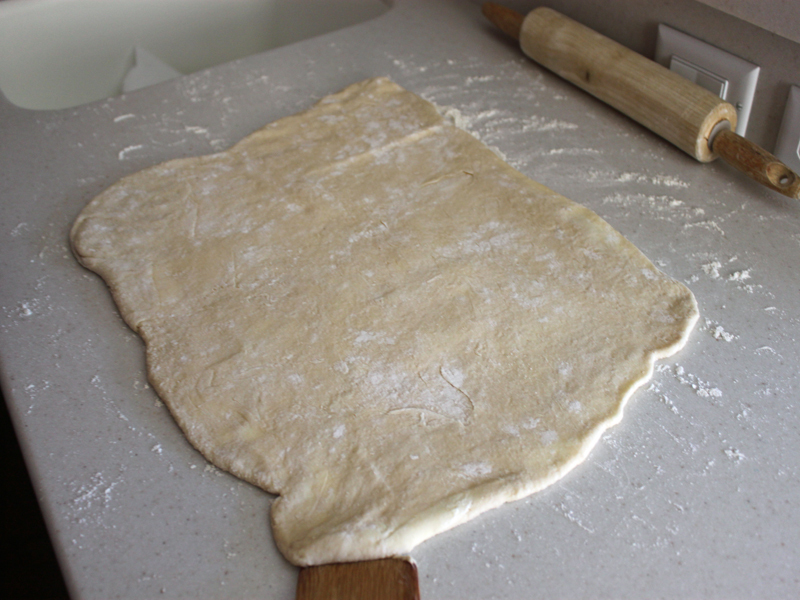 Once the dough has risen, roll it out on a floured counter-top until the dough into a 1/4″ thick rectangle, place the Earth Balance rectangle in the center. Then fold the dough into a package, cover and let it chill in the fridge for 20 minutes. Step 10: Roll It Again! Remove from fridge, roll out into another rectangle, and fold into a package again. Place it back in the fridge for another 20 minutes. Repeat the above process three more times. Then, roll into a long rectangle. Cut the dough into doughnut shapes, place them on a cookie sheet and let them chill in the fridge for another 20 minutes. 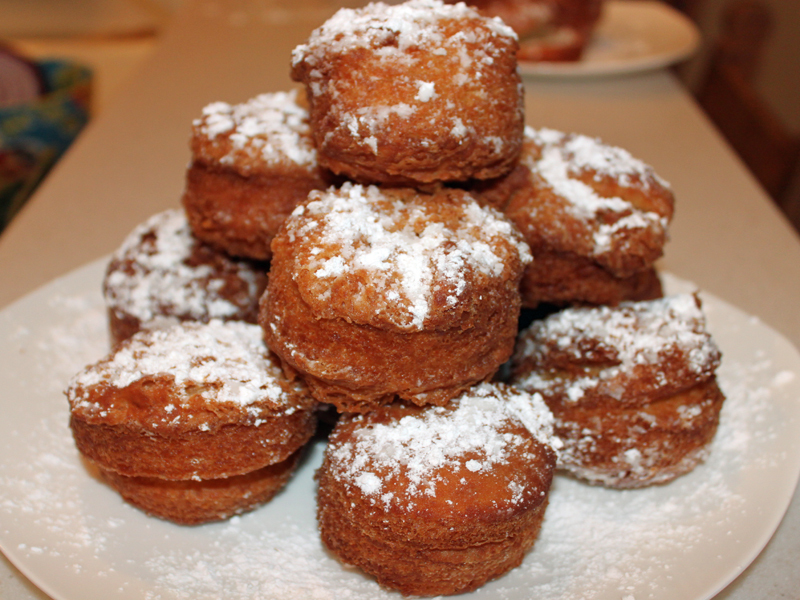 Heat your organic canola oil over medium heat to 350°, fry the cronuts until they are a deep golden brown. Remove from the oil, drain and let them cool on a rack. Once the cronuts turn golden brown, flip them over until both sides are golden. 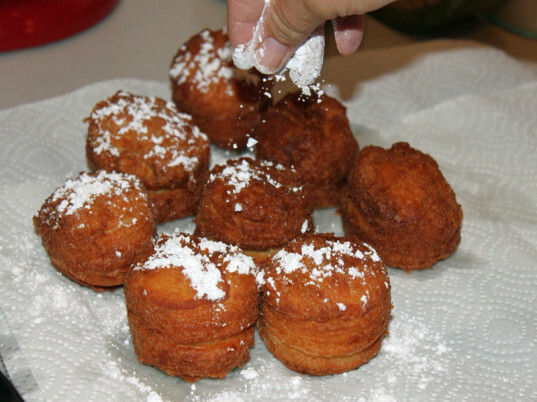 Once they are cool enough to handle, roll them in powdered sugar. These are super yummy and perfect for a weekend treat – get baking! Add the dairy-free milk to a medium saucepan or microwave safe bowl, over medium-low heat until scalded. Stir in the 2 tablespoons of Earth Balance, then set it aside. Dissolve the yeast in warm water (not over 110°) and let it sit for 10 minutes or until yeast is bubbly. 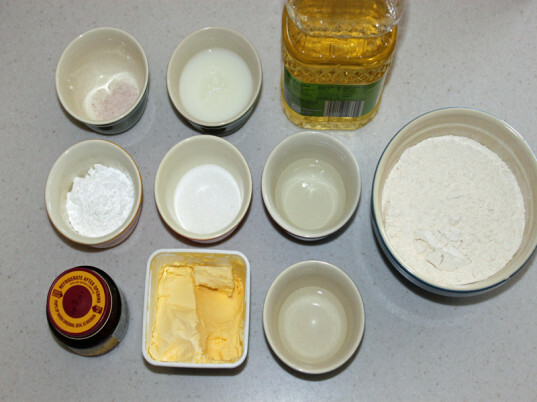 Add the sugar and salt to the 3 tablespoons of water and whisk well, then add it to the yeast mixture. Add the flour to the yeast/salt-sugar mixture and mix well. Lastly, stir in the milk and Earth Balance mixture and mix until a large ball forms. (We used a stand mixer with a bread hook). Cover the dough and let it rise in a warm place for a couple of hours or until the dough doubles in size. Tip: If you want to speed the process up – you can sit the dough on top of the oven with the oven on warm until it has doubled in size. 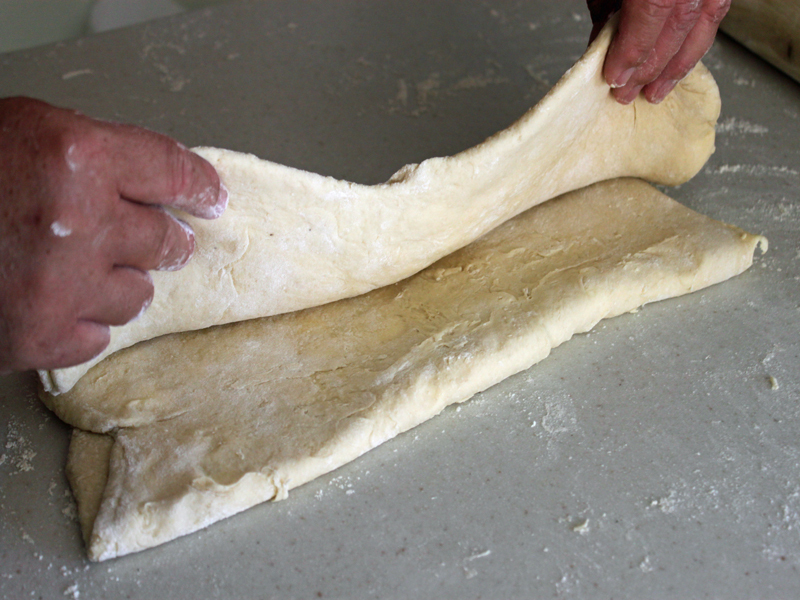 While the dough is rising, place the 1 cup of Earth Balance between two sheets of freezer paper and roll into a large rectangle, then place in the refrigerator. Once the dough has risen, roll it out on a floured counter-top until the dough into a 1/4″ thick rectangle, place the Earth Balance rectangle in the center. 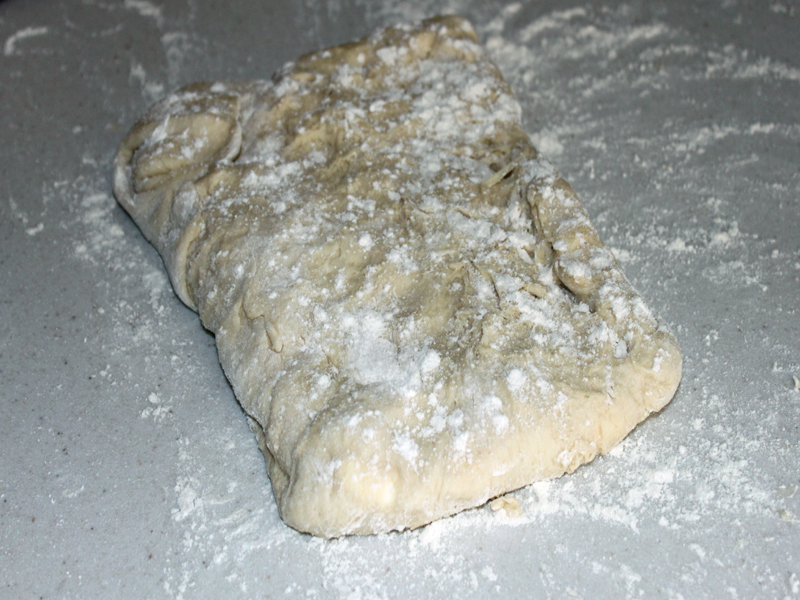 Then fold the dough into a package, cover and let it chill in the fridge for 20 minutes. Remove from fridge, roll out into another rectangle, and fold into a package again. Place it back in the fridge for another 20 minutes. Repeat the above process three more times. Then, roll into a long rectangle. Cut the dough into doughnut shapes, place them on a cookie sheet and let them chill in the fridge for another 20 minutes. 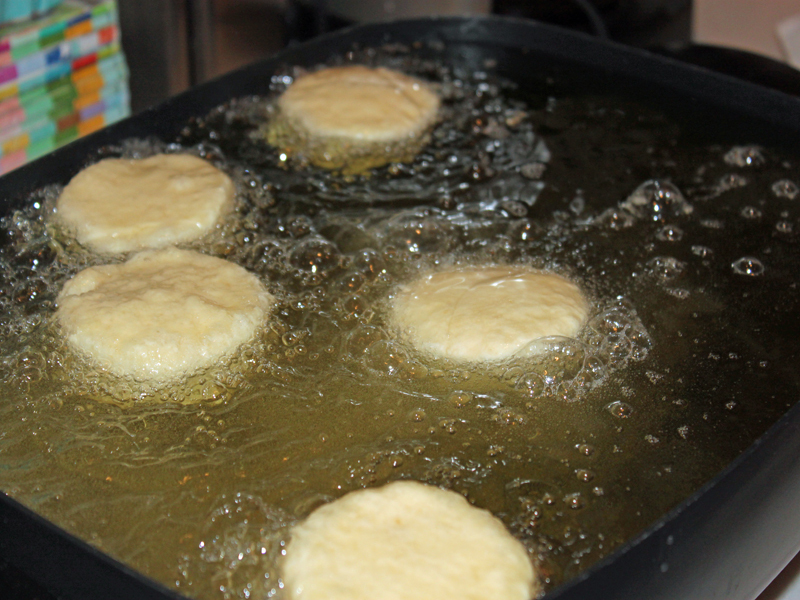 Heat your organic canola oil over medium heat to 350°, fry the cronuts until they are a deep golden brown. Remove from the oil, drain and let them cool on a rack. Once the cronuts turn golden brown, flip them over until both sides are golden. Once they are cool enough to handle, roll them in powdered sugar. These are super yummy and perfect for a weekend treat – get baking! hi. What is Earth Balance? I don't think I have this here in Belgium and would like to know what's its consistency, so that i can replace it with something else. Thanks! HOW TO: Make Vegan Cronuts - a Croissant-Doughnut Hybrid Pastry! Add the dairy-free milk to a medium saucepan or microwave safe bowl, over medium-low heat or in the microwave until scalded. Stir in the 2 tablespoons of Earth Balance, then set it aside. Dissolve the yeast in warm water and let it sit for 10 minutes or until yeast is bubbly. Add the sugar and salt to the 3 tablespoons of water and whisk well. When the yeast is bubbly, stir in the milk and Earth Balance and the water, sugar, salt mixture. 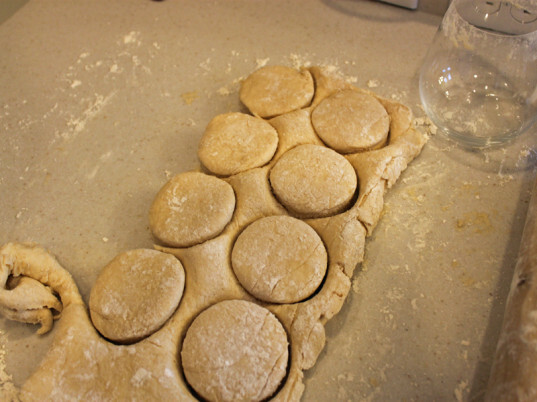 Slowly add in the flour and mix until a dough ball forms. Cover the dough and let it rise in a warm place for a couple of hours or until the dough doubles in size. Tip: If you want to speed the process up - you can sit the dough on top of the stove on pre-heat until doubled in size. Once the dough has risen, roll it out on a floured counter-top until the dough into a 1/4" thick rectangle, place the Earth Balance rectangle in the center. These are super yummy and perfect for a weekend treat - get baking! Gather the Ingredients 1 cup Earth Balance 1/2 cup organic dairy-free milk 2 tablespoons Earth Balance 1 packet of organic dry yeast 3 tablespoons water 1/4 cup organic sugar 3/4 teaspoon salt 2 3/4 cups organic flour organic canola oil organic powdered sugar Add the dairy-free milk to a medium saucepan or microwave safe bowl, over medium-low heat until scalded. Stir in the 2 tablespoons of Earth Balance, then set it aside. 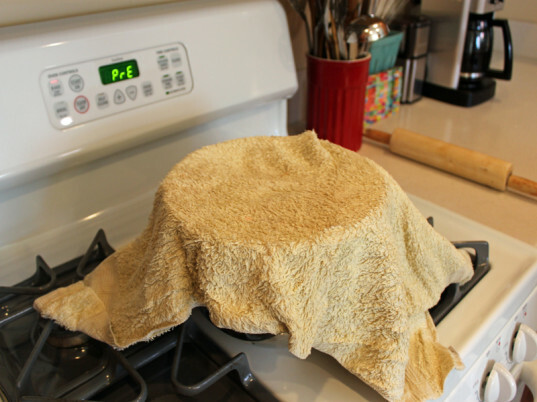 Dissolve the yeast in warm water (not over 110°) and let it sit for 10 minutes or until yeast is bubbly. 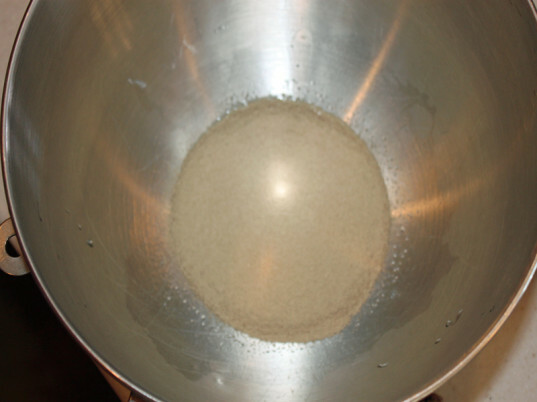 Add the sugar and salt to the 3 tablespoons of water and whisk well, then add it to the yeast mixture. Add the flour to the yeast/salt-sugar mixture and mix well. Lastly, stir in the milk and Earth Balance mixture and mix until a large ball forms. (We used a stand mixer with a bread hook). Cover the dough and let it rise in a warm place for a couple of hours or until the dough doubles in size. Tip: If you want to speed the process up - you can sit the dough on top of the oven with the oven on warm until it has doubled in size. 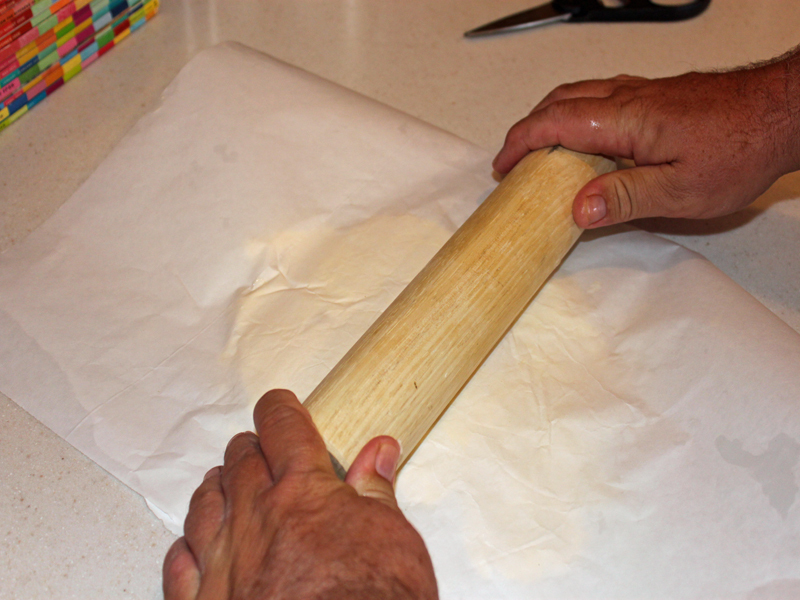 While the dough is rising, place the 1 cup of Earth Balance between two sheets of freezer paper and roll into a large rectangle, then place in the refrigerator. 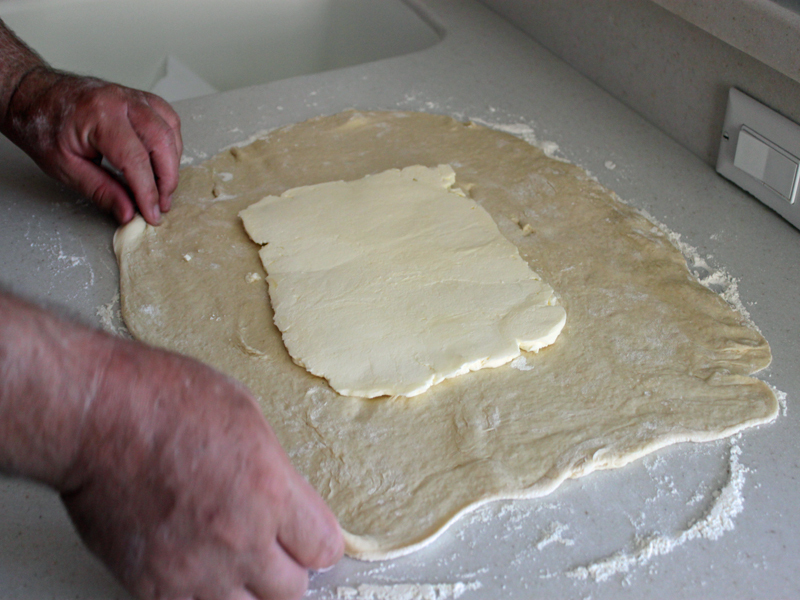 Once the dough has risen, roll it out on a floured counter-top until the dough into a 1/4" thick rectangle, place the Earth Balance rectangle in the center. Then fold the dough into a package, cover and let it chill in the fridge for 20 minutes. Remove from fridge, roll out into another rectangle, and fold into a package again. Place it back in the fridge for another 20 minutes. Repeat the above process three more times. Then, roll into a long rectangle. Cut the dough into doughnut shapes, place them on a cookie sheet and let them chill in the fridge for another 20 minutes. 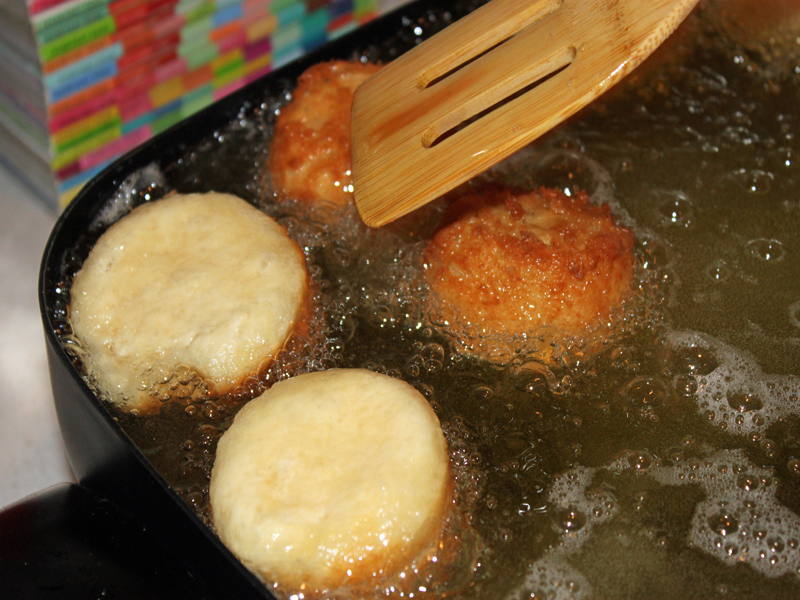 Heat your organic canola oil over medium heat to 350°, fry the cronuts until they are a deep golden brown. Remove from the oil, drain and let them cool on a rack. Once the cronuts turn golden brown, flip them over until both sides are golden. Once they are cool enough to handle, roll them in powdered sugar. These are super yummy and perfect for a weekend treat - get baking!